The terrorist attack in Paris is the second major assault this year following the Charlie Hebdo shooting in January. David Ono spoke with Parisians who said their lives in their city has changed dramatically. PARIS (KABC) -- The terrorist attack in Paris is the second major assault this year following the Charlie Hebdo shooting in January. David Ono spoke with Parisians who said their lives in their city has changed dramatically. Our cameras were allowed inside an artists' haven in Paris, where people from the community gathered to play music and share their art, desperately trying to forget about the attacks - but there were few happy faces there. 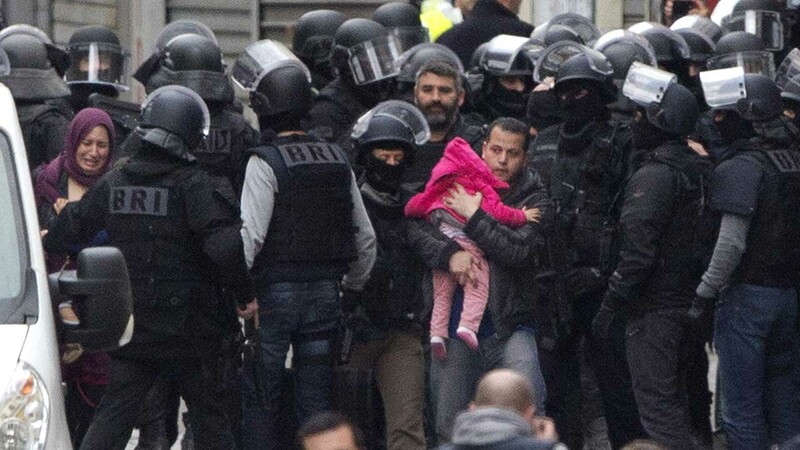 Two people were killed, including a woman who blew herself up, and seven people were arrested after police raided an apartment in the Paris suburb of Saint-Denis Wednesday. The Charlie Hebdo attack began the change this January. "There was actually complete terror and panic. My roommate at the time, she was actually asking me about if we should come up with an emergency plan, you know, buying an emergency ticket to be able to get out of France," said Ivy Dai, who is from Los Angeles but now lives in Paris as a chef. She said after this recent attack, people don't want to be alone. "People are scared. We had a lot of support meetings - people coming together, having wine and supporting each other, eyes are red from crying and people are not really well," Dai said. Seeing the Eiffel Tower reminds me of when we were in Paris in 2002. We did a story on a plot by terrorists in the mid-90s to bring down the Eiffel Tower with a plane. It was foiled of course, but years later Sept. 11 happened. 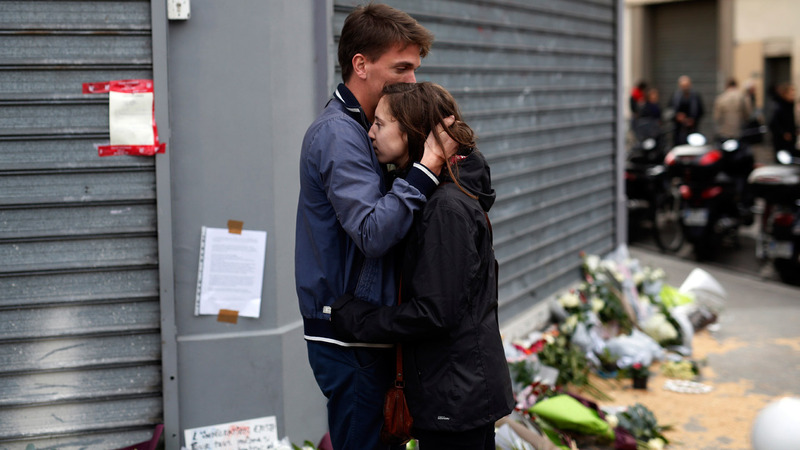 Fast forward to 2015, terrorists have now succeeded in hitting Paris but in a different way. And, at least for now, Parisians are truly terrorized, but there is still optimism. Brian Park is still shaking from being in the soccer stadium when the bombers hit, but he says Paris will always be Paris. 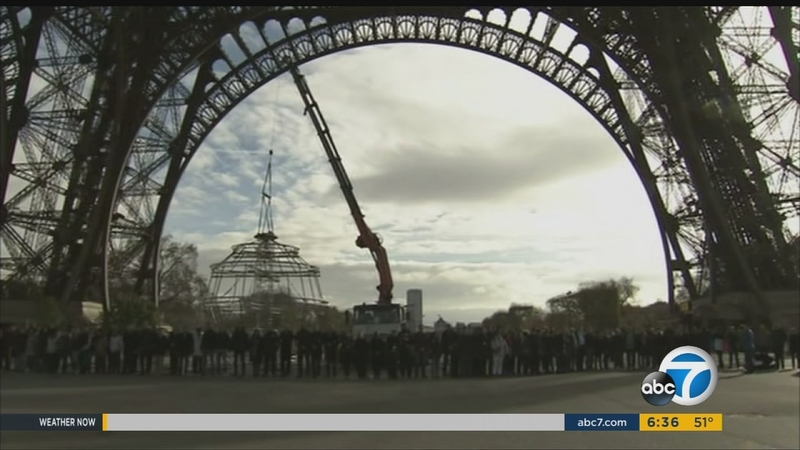 "You can't really kill what Paris is," Park said. "I have faith in that I think Parisians will continue with their tolerance and culture." When asked about the possibility of another attack happening in Paris, Parisians mostly said they didn't even want to think about it.